This couple was happy they could be there when the sun was bright and the weather warm, before winter came back and scattered buds everywhere. Leica M, 50mm APO-Summicron-ASPH, ND filter. 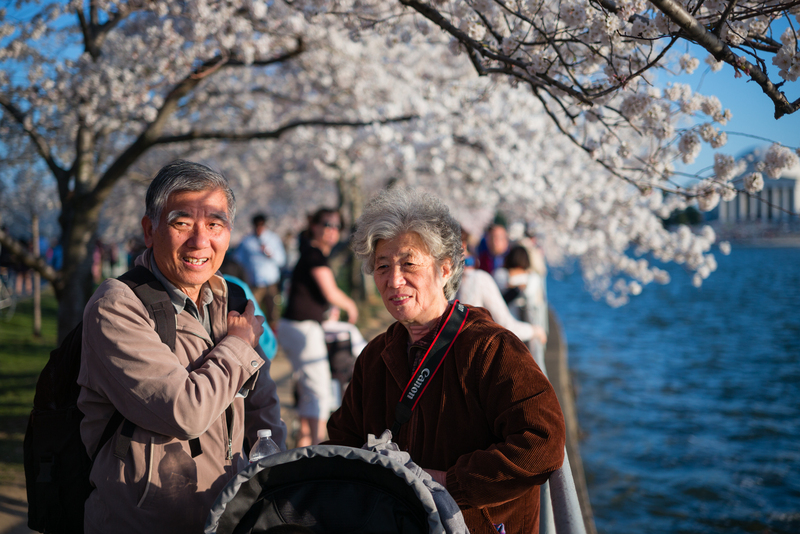 This entry was posted on April 16, 2014 at 1:43 pm and is filed under Uncategorized with tags Cherry Blossom Time, Leica 50mm APO-Summicron-Asph, Leica M.	You can follow any responses to this entry through the RSS 2.0 feed. You can leave a response, or trackback from your own site.